First published in 2008, the book has been embraced by reviewers and the public on both sides of the Atlantic and featured on television, radio, and the press, including Oprah & Friends, Glamour, Maclean's, Complete Woman, OK!, and many others. 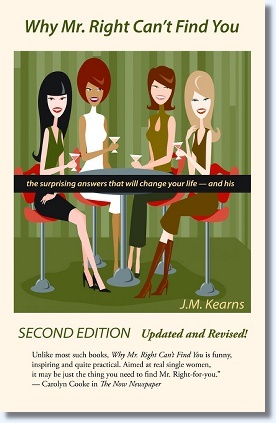 A reinvention of the relationship book, it was called by Maclean’s contributing editor Julia McKinnell "the best self-help book I’ve ever read". Straddling the line between witty essay and self-help, it shows that finding true love can be a proactive adventure. Men, Kearns explains, are not shallow, not the enemy, and not aliens from Mars. In fact, the good man who is searching for you is, and will be, your greatest ally. Kearns overturns the classic dating myths -- e.g., that destiny chose the "one and only" man for you, that baggage is bad, that all men prefer the same body type -- and solves the neglected riddle of compatibility with a hilarious and practical guide to the factors that make two people click, illustrated with real-life vignettes straight from the dating trenches. Finally, a newly updated online dating section gives clear, simple advice on how to choose the best dating site for you (including a section on Tinder), photo sets, matchmaking, body issues, and that crucial first meeting. See the buzz for press reaction to Why Mr. 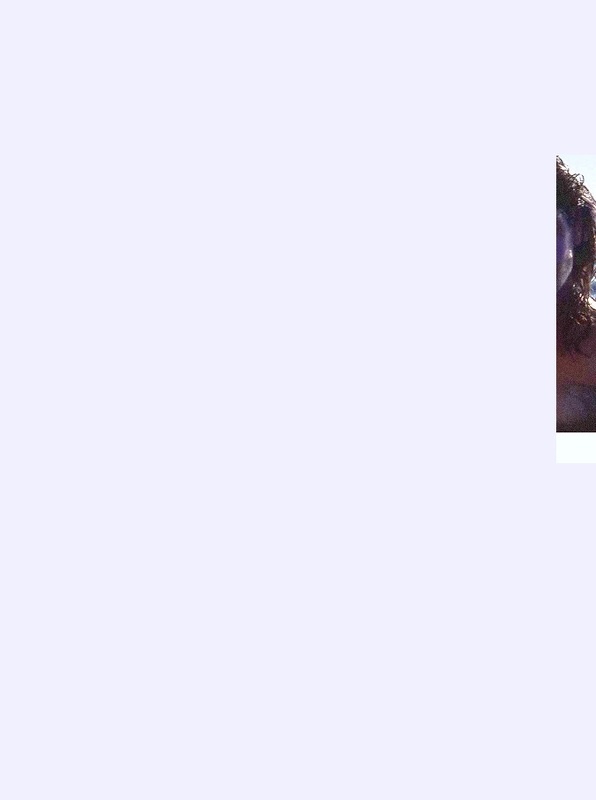 Right Can't Find You. A revised edition of Better Love Next Time will be issued later in 2015 under the title What Your Broken Heart Is Trying To Tell You. Many of us feel as if we are stuck in an endless loop of a botched romantic comedy: the past relationship that went wrong seems to spell trouble for the future, even if we find the right person. In Better Love Next Time, J.M. Kearns offers help with the pain of a breakup, and more than that, he explains how to understand and heal the damage it has done to you. He shows you a simple (and entertaining) way to diagnose what went wrong, so history won’t have to repeat itself; and then reveals how to uncover the “manual for happiness” that your own heart has written in your past, and apply it to your future. 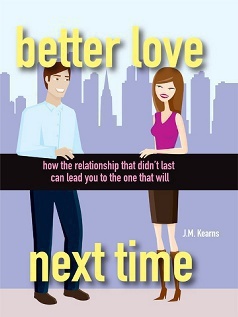 Laced with colorful vignettes and as compassionate as it is honest, Better Love Next Time ensures that when you do find the right partner, you will arrive whole, renewed and ready for a good relationship -- and able to avoid the old mistakes. 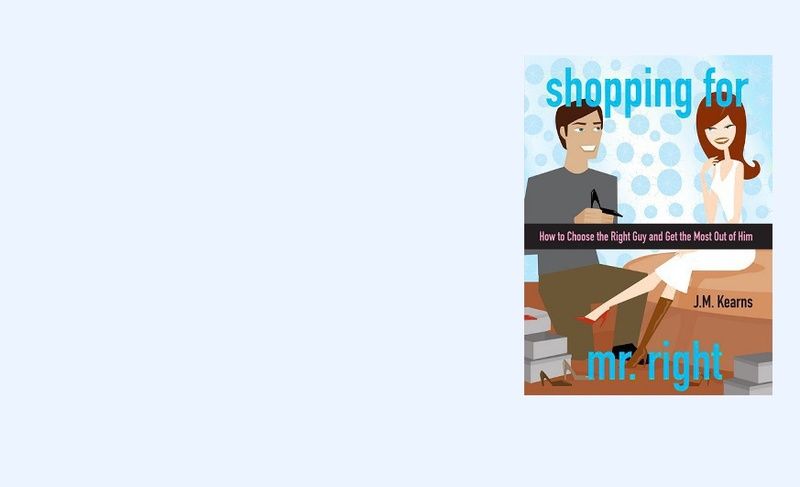 A new edition of Shopping for Mr. 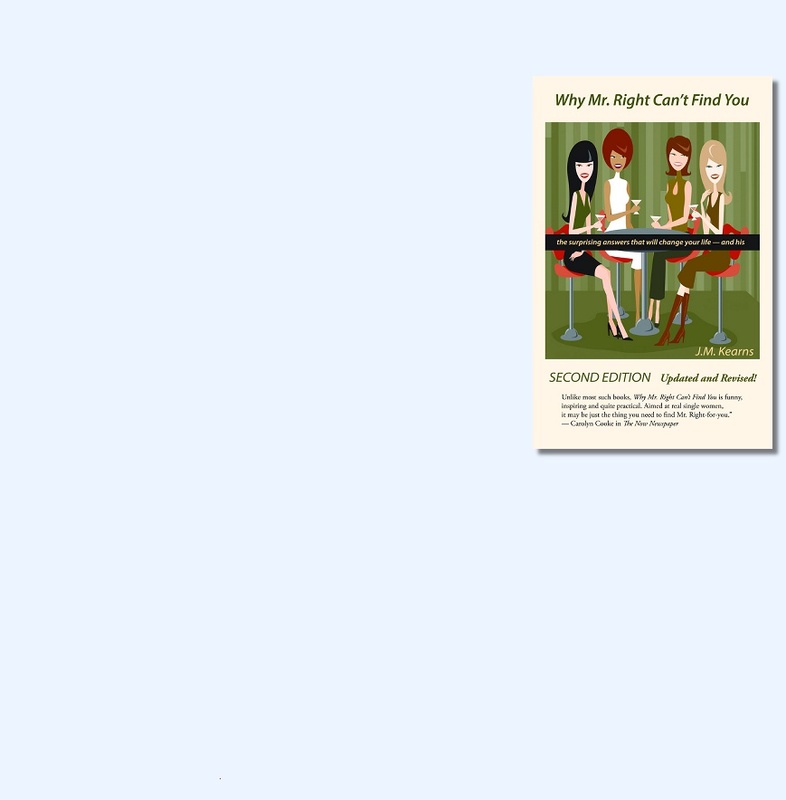 Right will be published later in 2015. In Shopping for Mr. Right, J.M. Kearns does exactly that, carrying the principles of the earlier book into new territory. Using the unifying metaphor of shopping -- and its literal truth, when it comes to online dating! -- he opens up a host of new topics and gives the kind of practical, hilariously honest answers that readers have come to expect from him. The Deep End is a love story and a tale about the power of "home". Other themes: the sacred summer place you want to go back to, the challenge of aging parents, the nightmare day job, and, as Kearns puts it, "the lover right in front of you that you resist truly knowing." 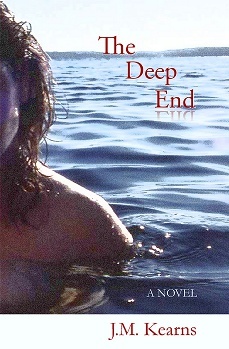 The Deep End is now on sale on Amazon.com, in paperback or as a Kindle book. The novel was published in Canada by Key Porter Books under the name ex-Cottagers in Love. But troubles in the publishing industry brought that company down in 2011. "People were still reading the novel," Kearns says, "so I decided to revise it, re-title it, and get it published in the U.S. for the first time." For video from Fannie Kiefer's interviews with J.M. Kearns, press here.
. . . click on the title. "This is a touching story about emotional attachments-to family, the past, childhood places, newfound loves. There were many things that moved me. It was a delight to read, bittersweet and hopeful, like life." "Irresistible. The type of post-modern LadLit that is seldom celebrated as sharply as it should be. Never mind: this is not exclusionist literature. If you read it you will probably like it, it's as simple as that...This is an author with talent and good ideas. He's the real deal." "Kearns knows how to craft an evocative passage...the prose sings." "The Deep End is wonderful. As I read it, I kept thinking 'I remember that!'" "In The Deep End, J.M. Kearns has crafted a voice both immediate and profound... His story grips us because in many ways it is our own." with a retooled section for online dating in 2015 (including Tinder)!